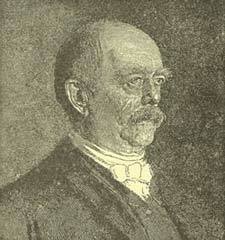 The "aureole of unpopularity" which encircled Bismarck's brow during four short years of inaugural premiership has, to all appearance, vanished under the influence of unbroken success, making room throughout the world for a confiding deference to his capacity and forethought, that every year seems to intensify. It is he, in the belief of most governments, who has preserved to them what never was more indispensable for their very existence--peace in Europe. With supreme adroitness, he avoids entanglements for himself and his country, bears many an affront patiently before retorting, keeps up the appearance of a good understanding after its substance has long passed away, but, when fairly engaged in diplomatic contention, lays out his field in a manner that insures success. People agree, therefore, that it is best to take him as he is. And it is in the nature of man when he has once accorded that favor to a fellow-creature, to "take him as he is," that he ends by liking him. Thus Bismarck, of all living men the most unlikely to succeed in the race after a world-wide popularity, is probably at this moment the best-liked man in either hemisphere. His own countrymen have shown a decided indisposition to admit him among their household gods. To them he was, from the commencement of his political career, the very embodiment of what had gradually become the most objectionable type of Teuton existence--the unmitigated squireen or Junker, with his poverty and arrogance, with his hunger and thirst after position and good living, with his hatred for the upstart liberal burgher class. "Away with the cities! I hope I may yet live to see them levelled to the ground." Is there not a ring of many centuries of social strife, so laboriously kept down by the reigning dynasty, in these stupendous words, which were pronounced by Bismarck in 1847, when among the leaders of the conservatives in the first embryo parliament of the Prussian monarchy? And if uncongenial to the generation of Prussians among whom he had grown up, how infinitely greater was the dislike against him of South Germans, more gifted, as a rule, by nature, to whom the name of Prussian is synonymous of all that is strait-laced and overweening and unnatural and--generally inconvenient. Little of that sentiment remains among the Germans of the present day. Such strangers as have had the opportunity of observing the attitude of the nation during the late celebration of his seventieth birthday, agree in declaring them to have been spontaneous, enthusiastic, and at times almost aggressive. Some tell us, to be sure, that the farther from Berlin the more gushing has been the ecstasy. The electors of Professor Virchow and of Herr Loewe, in whose electoral districts a torchlight procession on the eve of Bismarck's birthday had to elbow its way through immense crowds, must have kept at home. The municipality of Berlin, a model body of civic administrators, sent a birthday letter to their "honorary citizen," but abstained, with proper self-respect, from tendering their congratulations through a deputation. No Berlin citizen of any importance had a hand in the management of the procession. Yet, if thousands kept aloof, tens of thousands shared the national enthusiasm--students of universities chiefly, but older men too, even in distrustful, radical Berlin. And as for South Germany, where the gospel of protection seems, perhaps, to be more firmly believed in than any other, we read of trains to Berlin taken by storm, banquets, processions, chorus-singing--of real, heartfelt, rapturous effervescence. There cannot be a shadow of doubt that, to numberless non-Prussians at any rate, the new era of German unity has brought a symbol of greatness not before known, and that they worship in Bismarck the hero who has given them a country to love, who has delivered them from the pettiness and self-satisfaction of Philistinism. Now, if this be so--if, indeed, the countries of the world at large, and Germany in particular, acknowledge him almost affectionately as the leading statesman of the day, would it not be an interesting study to examine the degree of merit due to him personally, the character of the present administration, and what lasting good or lasting evil may be expected from this new phase of European politics? The subject, through its weight and its bulk alike, excludes full treatment within the limits of an essay. Nevertheless, since it intertwines itself with nearly every other question of moment, a few remarks by an outsider may be acceptable. Proclamation of the German Empire at Versailles. None but the incorrigibly childish can be inclined to ascribe to good luck a prosperous career extending over near twenty-three years, spent under the fiercest glare of the world's sunshine. No minister of any age was more bitterly assailed or opposed, even at the court of which he is now the acknowledged major domus in the manner of the Pepins and other Thum-Meiers of the Frankish monarchy. The king's brother, Prince Charles, detested the innovator whose opinions on the necessity of Austria being removed from membership in a remodelled German confederation, had for years leaked out from the despatch-boxes of the Foreign Office. Even the Junkers, whose dauntless leader he had been before and after the revolutionary events of 1848, shrank instinctively from a man who could not be credited with veneration for the Holy Alliance. It is remembered in Berlin that, on the nomination of one of them, well at court, a diplomatist of some standing, to the post of under-secretary of state for foreign affairs, the new member of the government confessed to his friends that he accepted the post in spite of Bismarck's "foreign" policy, and only in consideration of his contempt for parliamentarism. The queen, on the other hand, brought up in principles of constitutional government, and strongly attached to the English alliance, viewed with horror the bold pugilist who was daily assailing, not the persons only of the people's representatives, but some of the very foundations of every parliamentary edifice. Yet fiercer was the animosity shown him on every occasion by the Princess Royal of England, whose father had early taught her that a throne, to be safe, requires absolute solidity of institutions and agreement with the people, and who seriously trembled for the preservation of her children's future. Her husband expressed himself forcibly on a public occasion against some reactionary measures of the government. As the court, so were the liberal parties, so the people in general. When a fanatic, of the name of Kohn, attempted Bismarck's life in May, 1866, there were few persons who did not regret his failure. It may be said with truth that, for years, two men only understood a portion at least of his political views, and shared them. One was King William. Isolated as Herr von Bismarck was, he learned to rely implicitly on his sovereign's faithfulness, and has had no reason to regret his trust; for the king, though greatly his inferior in intellect, and far from unblest with legitimist predilections, was as firmly convinced as his minister that the confederation of German states, and Prussia herself, might be swept away unless placed upon a new footing, in one of those tornadoes which used periodically to blow across the continent of Europe. Thus, the new departure was as much his own programme as Bismarck's, and although he started (in 1861) with a hankering after "moral" rather than material conquests, he gradually understood the necessity for war, and has of a certainty "taken kindly," as the saying is, to material conquests of no inconsiderable magnitude. None, even among Bismarck's modern sycophants, would pretend that their hero was the inventor of German unity. Passionately, though not over-wisely, had that ideal been striven after and suffered for by the best patriots in various parts of Fatherland, their vision becoming hazy just as often as they attempted to combine two opposite claims, that of a national texture, and that of a headship of Austria, which is non-German in a majority of its subjects, and alien in nearly all its interests. The Frankfort Parliament of 1848 marks the transition to a clear insight, inasmuch as its final performance, the constitution of 1849, placed the new crown on the King of Prussia's head. When offered, it was haughtily declined under the applause of Bismarck and his friends. The king refused because its origin lay in a popular assembly; in Bismarck's eyes its chief defect was that Prussia would be dictated to by the minor states. It was not until later, in 1851, when appointed Prussian ambassador to the Germanic Diet, chiefly because of his defence of the Treaty of Olmuetz, which placed Prussia at the mercy of Austria, that he recognized the central point to be the necessity of thrusting Austria out of the confederation. It is proved now that he was sagacious enough also to perceive that such a wrench would not lead to a permanent estrangement, but that Austria, removed once and for all from her incubus-like and dog-in-the-manger position within the federate body, would become, in her own interest and that of European peace, New Germany's permanent ally. These, then, became the two purposes of his active life ever since the day when, at the age of thirty-six, he obtained a share of the responsibility in the management of affairs as ambassador in Frankfort; first, to transfer Austria to a position in the East, and then to bestow upon the Fatherland political unity under Prussia, the royal prerogative in the latter remaining uncurtailed, so far as circumstances would allow. Thirty-four years have now elapsed. His opponents, in his own country or out of it, are at liberty to reiterate that he was born under a lucky star; that he merely took up the thread of German unification where the Frankfort Parliament of 1849 had let it drop; that anybody could have utilized such mighty armaments as those of Prussia with the same effect; that, given total disregard of principle or moral obligations, the result, in the hands of any political gamester, must have been what it was. There is something to be set against each of these assertions. For it was not the goddess of Fortune which pursued Bismarck in the ungainly shape of his former friend, that spiteful Prince Gortschakoff. The Frankfort assembly had left the Austrian riddle unsolved, and apparently insoluble. There was no hand in the country firm or skilful enough, no brain sufficiently hard or enlightened as to the needs of the day--not the king's, not Count Arnim's, nor certainly that of any other known to his contemporaries. And finally, when a public man so deftly gauges the mental capacities or extent of power of his antagonists--such as Count Beust, or Napoleon, or Earl Russell--that he knows exactly how far he can step with safety; then such a "gamester," however terrible the risks to which he may have exposed his country, is a great man. Complete unity of aims throughout, power given to carry them out, a wonderful absence of very serious mistakes, and finally a life sufficiently prolonged to admit of retrospection; in each of these respects the career of Bismarck resembles that of Mr. Disraeli. 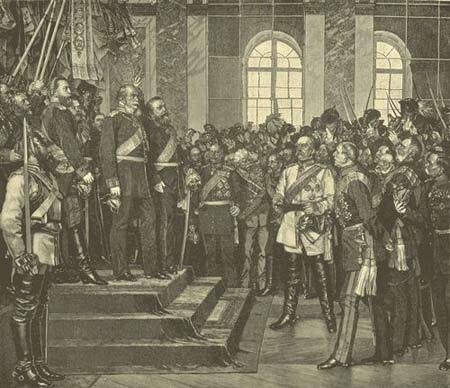 The oft-told story of his diplomatic adventures at Frankfort, at Vienna, at Petersburg, and at Paris, and still more of his rulership in Prussia since 1862, and in Germany since 1866, has been uniform under two aspects. First, as already mentioned, in the stern continuity of his purposes. And secondly, in the mistaken view entertained regarding him at each successive period of his public life. Passing under review the whole career of this political phenomenon, you naturally pause before its strangest and its most humorous feature, viz., that, although living under the closest inspection, he was misunderstood year after year. Who would, consequently, deny the possibility at least, of Bismarck's being so misunderstood, by friend and foe, at this present moment? While those despatches were written by him from Frankfort which Poschinger's researches have now exhumed, their writer was thought, by his partisans just as much as by his enemies, to be occupied solely with strengthening the "solidarity of conservative interests" and the supremacy of Austria, or with spinning the rope of steel which was to strangle all parliaments in Germany. And yet we know positively at present that, with increasing vigor day by day, did he warn his government against the scarcely concealed intention of Austria to "avilir la Prusse d'abord et puis l'aneantir" (Prince Schwartzenberg's famous saying in 1851); we observe with surprise how quickly legitimist leanings disappear behind his own country's interests; we stand aghast at the iron sway obtained by so young a man over the self-conceit of a vacillating, yet dogmatic and wilful, king (Frederick William IV.). It was he whose advice, given in direct opposition to Bunsen's, led to the refusal by Prussia of the Western alliance during the Crimean war. But he did not give this advice, as German liberals then believed, out of subservience to the autocrat of the North, whose assistance his party humbly solicited in order to exterminate liberalism. He persistently gave it to thwart Austria and to preserve Prussia (then in no brilliant military condition) from having to bear the brunt of Muscovite wrath, which he cunningly judged to be of more lasting importance in the coming struggles than the friendship of Western Europe. At a time when European politicians considered that he was the mouthpiece of schemers for a Russo-French alliance in his repeated and successful endeavors to gain Napoleon's good-will, he was adroitly sounding the French emperor's mind and character. He soon convinced himself that it was shallow and fantastic, and he built upon this conviction one of the most hazardous designs which ever originated in a brain observant of realities--that identical design which eventually led Prussia, some years later, first to Schleswig and then to Sadowa, with the "arbiter of Europe," as Napoleon was then called, stolidly looking on! And what is one to say of the four years of parliamentary conflicts (1862 to 1866), during which no one doubted but that his object in life and his raison d'etre consisted in a reinstatement of the Prussian king on the absolute throne of his ancestors--a reaction from all that was progressive to the grossest abuses of despotism? All this time he was fighting a desperate battle against backstairs influences, which with true instinct were deprecating and counteracting his schemes of aggrandizement and national reorganization. It is clear, on looking back to that period which has left such indelible marks on the judgment of many well-meaning liberals, that his exaggerated tone of aggressive defence in the Prussian Landtag, the furious onslaught of his harangues, were intended to silence the tongues at court which denounced him as a demagogue and a radical. Paradoxical as it may sound, one may safely assert that nothing more effectually helped King William in his later foreign policy, than the opinion pervading all Europe in 1864 and 1866, that, having lost all hold upon the minds of his people, weakened and crippled in every sense of the word by Bismarckian folly, his Majesty could never strike a blow. There was peace and concord in Germany between 1866 and 1877. Without becoming a liberal, and while opposing every attempt to outstep certain limits, Bismarck created and rather enjoyed an alliance with the majority formed in his favor by the national liberals and a moderate section of the conservatives. The German Empire, proclaimed by the German sovereigns at Versailles in January, 1871, was of his creation; and while established upon somewhat novel principles of federation by a parliamentary statute, it looked to outsiders like a home for progress and liberty. There were dangers lurking, it is true, beneath many a provision of the new constitution, such as the absence of an upper house, and the substitution in its stead of delegates from the separate governments, acting in each case according to instructions received, authorized to speak whenever they chose before the Reichstag, but deliberating separately and secretly both upon bills to propose, and upon replies to give to resolutions of the Reichstag. In fact, this Bundesrath, or federal council, represents the governing element under the emperor, with functions both administrative and legislative. By an artificial method of counting, Prussia, although she would command three-fifths of all the voters by virtue of her population, has less than one-third. Thus the possibility of an imbroglio between the governments is ever present, as well as that of a hasty vote in the popular assembly. It will never, probably, be quite understood why Prince Bismarck broke loose from a political alliance which, it would seem, had given no trouble whatever. In foreign affairs the house, in its immense majority, abstained from even the faintest attempt at interference. As for patronage, it has been said that no appointment was ever solicited for anyone by a member of the liberal party. From ministerial down to menial posts no claim was raised, no request preferred. If the section of moderate conservatives above mentioned has furnished a few ambassadors like Prince Hohenlohe, Count Muenster, Baron Keudell, and Count Stolberg, that was by the chief's free will. Why, then, it has been asked, a change so absolute as the one the world has witnessed, from the saying of the chancellor in 1877, that his ideal was to have high financial duties on half a dozen objects and free trade on all others, to one of the most comprehensive tariffs in the world two years later? His own and his friends' explanations are lamentably deficient--"growing anaemia and impoverishment of the country," "drowning of native industry by foreign manufacturers," "corn imported cheaper than produced," and what not. The present writer, looking from afar, has always thought two motives to have been paramount in the chancellor's mind when he separated from the liberals and became, not a convinced, but a thorough-going protectionist. It is not said that these were his only motives. Chess-players know that each important move affects not only the figures primarily attacked, but changes the whole texture of the play. First, then, and foremost, fresh sources of income were wanted to make the finances of the empire independent from the several exchequers of the states bound by statute to make up for any deficiency pro rata parte of their population. Two or three objects would have provided the needful, viz., spirits and beetroot sugar, and (with due caution) tobacco; or an "imperial" income tax, changing according to each year's necessities; or both systems combined. Tobacco, it is true, was tried, and the attempt failed. Spirits would bear almost any taxation, but the chancellor does not choose to tread upon the tender toe of the great owners of land who are potato-growers, and consequently distillers on a large scale. And another important class of agriculturists, the beetroot growers and sugar-producers, were not to be trifled with either. But how about direct taxation, the manly sacrifice of free peoples, the plummet by which to sound the enlightenment of a nation? The chancellor instinctively felt, I believe, that there he would be going beyond his depth; that under such a regime the free will of citizens must have the fullest swing; the "prerogative" would suffer, if not immediately, yet as a necessary sequence. And so he deliberately abandoned free trade and espoused indirect taxation and protection. Success, let free traders say what they please on the subject, success has accompanied Bismarck's genius on this novel field, as well as on the older fields where all mankind acknowledges his superiority. For the coffers of the empire are filling. A motley majority in the Reichstag not only accepts, but improves upon his protectionist demands. He has become the demigod of the bloated manufacturing, mining, and landlord interests throughout the country. He is now about to win the last of the great industries, and the one which withstood his blandishments the longest, viz., the trans-oceanic carrying trade. He is credited with having improved the state of certain trades, even by such as know perfectly well that, like the former depression, the present improvement in those has been universal. The whole country is becoming protectionist. All young men, even in Hamburg and Bremen, believe in protection as "the thing." The Prussian landlord, whose soul was steeped in free trade so long as Prussia was a grain-exporting country, cherishes protectionist convictions now that she must largely import cereals. The bureaucrat who had never sworn by other economic lawgivers than Adam Smith and his followers, now accepts Professor Adolphus Wagner's ever-changing sophisms. And as for the south and the west of Germany, why, they adore the man who had fulfilled that dream of protection in which they, as disciples of Friedrich List, had grown up. It is true that all large cities, even there, are protesting against the lately imposed and quite lately increased duties upon cereals; but then, "can any good thing come out of" large cities? Compared to the difficulties that impede the action of the free trade party in Germany, Mr. Bright's and Mr. Cobden's up-hill work sinks into insignificance. Nothing, to a beginner in the study of Bismarck's character, would appear so utterly puzzling as his demeanor toward the communists, socialists, or, as they call themselves in Germany, Social Democrats. One of his most trusted secretaries is an old ally and correspondent of Herr Karl Marx, the high-priest of communism, who, toward the end of his London career, rode the whirlwind and directed the storm of German socialism. Bismarck himself confesses to having received in private audience Lassalle, one certainly of the most capable men of modern Germany, and to whom as its first author, a retrospective inquiry would trace back the present formidable, closely ruled organization of socialist operatives of Germany. The first minister of the Prussian crown was closeted once--people say more than once, but that does not matter--with the ablest subverter of the modern fabric of society. He found him "mighty pleasant to talk to." He liked his predilection for a powerful supreme authority overawing the organized masses, though "whether he did so in the interest of a dynasty of Lassalles or of Hohenzollern's" seemed to Herr von Bismarck an open question. After Lassalle's tragical death in 1864, we observe how the Prussian government, while watching with Argus-eyes every excess of speech among liberals, allowed his first successors, Schweizer and others, a vulgar set of demagogues, such license of bloody harangue as has of late years got Louise Michel into trouble in republican France. Then we hear of nothing as between Bismarck and the socialists for some years--the years I have described above as years of peace and concord in Germany--till suddenly, on the occasion of two attempts made in 1878, by Hoedel and by Nobiling against the emperor's life, he came down upon that sect as with a sledge-hammer. His famous anti-socialist bill was at first rejected. It passed into law only after a dissolution, the electors having in their affectionate pity for the wounded emperor unequivocally given their verdict in favor of suppression. It has since been reaccepted three times by an unwilling house, and with exertions of the same man who had fostered and protected the beginnings of socialism, and who had the watchword given out at the last general elections in 1884, that "His Serene Highness the Chancellor would prefer the sight of ten Social-Democrats to that of one Liberal (Deutsch-Freisinige.)" Now, what is the clew to this comedy of errors? No mere waywardness or perversity of character, but some powerful bias and a first-cousinship in principle must account for one of the strangest anomalies in modern history. Perhaps the following consideration will render both the "bias" and the "first-cousinship" at least intelligible. Prince Bismarck is a good hater. Now, if he has any one antipathy stronger than another, and that through life, it is that against the burgher class, the reverse of aristocrats, the born liberals, townsmen mostly yet not exclusively--the "bourgeois," as the French call them (although, if I err not, the exact counterpart to the "bourgeois" species is not found on German soil), a law-abiding set, independent of government, paying their taxes, and thoroughly happy. When they, through their representatives, bade him defiance in 1862 to 1865, and thwarted his measures of coercion, his inmost soul cried, Acheronta movebo! He sent for Lassalle, he paid his successors' debts, and generally assisted the sect. So much for the "bias." And now for the "first-cousinship." No student of history will deny that despotism, whenever it has arisen, or been preserved in highly civilized communities, will extend more of a fatherly care to the masses than liberalism. This cannot be otherwise; for liberalism sets itself to educate the masses to self-responsibility, and each individual to thrift and self-reliance. The sight of an able-bodied beggar is, to a genuine liberal, a source of anger first, and only on further contemplation, of pity. He will exert all his energies to remove every obstacle from out of the way of his poorer brethren; he will preach wise economy, and facilitate it by personal sacrifices and legislative inducements; but he will not tempt the government of his country to act as a second providence for the operative classes. Quite the reverse is Bismarck's opinion. According to him, the state should exercise "practical Christianity." With Titanic resolution to drive out Satan through Beelzebub, he does not shrink from acknowledging and proclaiming the "right of labor." There is probably nothing left to say after your lips have spoken these unholy, blood-stained words. If there was, he would be the man to say it rather than allow himself to be outbid by mob-leaders of the socialistic feather. Droit au travail, forsooth! The phrase has cost thousands their lives in the Parisian carnage of June, 1848. In the mouth of Karl Marx and other outspoken champions of his cause, it means absorption by the state of all the sources of labor, such as land and factories, because by such absorption only can the state insure work for the unemployed. In the mouth of Bismarck it means a lesser thing, of course, in extent, but not in its essence. As chief minister of Prussia he has ably brought about the purchase of nearly all lines of railway within that monarchy. As chancellor of the empire he has tried his very best to obtain a monopoly on tobacco. All accident insurance companies have already been ruined and their place taken, so far as accidents to factory-hands, etc., are concerned, by an imperial office. His mighty hand is stretched out already to suppress and absorb all other insurances. The kingdom of the Incas, in ancient Peru, as described in Prescott's volumes, has probably not done more work for its subjects than Bismarck's ideal of a German empire would do for its inhabitants. With every species of occupation or enterprise managed directly by government, why should the ruler of an empire, or of a socialist republic, hesitate about proclaiming a right to labor? A critic might object that its proclamation by Bismarck, in 1884, was premature, inasmuch as he had failed in carrying his Monopoly bill, and could not be certain of success regarding other state encroachments. Granted. But a "first-cousinship" between his views on social reform and those of Messrs. Bebel and Liebknecht, is an actuality of modern Germany, and should be seen to by those who desire this central power of Europe to remain exempt from a social revolution. Cursory as this review of Bismarck's past life and present policy has of necessity been, some indulgent reader may perhaps bestow upon me--besides his thanks for having withstood the temptation to quote the pithy, and at times impassioned, utterances of the wittiest man in power of the present day--just enough of his confidence to believe that I have suppressed no trait of importance. However, since there is one thing more important still than a great man, namely his country, let us not dismiss the interesting subject of this retrospect without inquiring what that country has gained and what lost through his agency. Germany possesses a federation, not constructed after any existing pattern, not made to please any theory, not the object of anybody's very passionate admiration, but accepted in order to alter as little as possible the accustomed territorial and political arrangements. In one sense it has no army, for the Prussian and the Bavarian armies, although the empire bears the cost, still exist. In one sense it possesses not the indirect taxation, for the individual states do the collecting of custom-house duties, etc. In one sense it has scarcely any organ of administration, for the whole internal government, the schools, courts of law, and police, all belong to the single states; and foreign affairs, the navy, the post-office, and railways in Alsace, are the only fields of imperial direct administration. Yet, what it has is valuable enough. The empire rules the army and can legislate over and control a prodigious amount of national subjects. Its foreign policy is one. The military command is one. Certain specified sources of revenue are the empire's. Patriotic aspirations are fulfilled. The individual sovereigns in Germany possess a guarantee of their status, the operative classes an opportunity for organization and improvement on a large scale. Monarchical feeling has gained in depth, both generally and with personal reference to the emperor and to the crown prince, both "representative men" in the best sense of the word, and the crown prince, the most lovable man of his day. Another salutary constitutional reform--not of Bismarck's making, for he gave his consent unwillingly and not without first having marred its beauty, but yet an effect of his great deeds--is the Prussian "Kreis" and "Provinzial-Ordnung," first introduced in 1874. No more logical deduction was possible than this commencement of decentralization within the Prussian monarchy. Before that date provincial diets had existed for fifty years, and a kind of assembly had also managed certain affairs for the Kreis, an administrative unit smaller than an English county, and averaging about one hundred thousand inhabitants. In the same proportion as German unity made progress, it was believed that self-government ought to become more extensively introduced, and the "tendency of the blood toward the head" or capital, be obviated. The example of home rule presented by the "Kreis" and the provinces of Prussia since this reform, is not assuredly of a nature to frighten weak nerves. But much money is now usefully spent within and by the provinces independently of any decree from a central authority; and as regards willingness to work on provincial and (so to say) county boards, it is said to be beyond all praise. An English public man of high standing assured me, some years ago, that these Prussian beginnings of home rule had attracted the serious notice of Mr. Gladstone. I do not wonder at it. Another permanent good for which Germany seems indebted to Bismarck, and the last I will mention, is of quite modern date--I mean his colonial policy. Individual Germans have, at all times and in immense numbers, found their way across the sea. On the Baltic and North Sea coast, German ports, though few in number, yet command a very large trade. Next to the English, German traders form the most numerous community in every place, however remote, where business of any kind can be transacted. But to convert the inland Philistines--that vast majority of Germans who have never sniffed sea-air--into enthusiasts for a colonial empire required all Bismarck's ability and prestige. No doubt he descried in the movement a chance for a diversion of the public mind from obnoxious topics. It was useful to him to produce an impression as if the export trade, stagnating as it must under the baneful effects of modern protection, could rally under the influence of colonial enterprise. These considerations would not, however, suffice to explain his long-considered, cautious proceedings in this matter. To comprehend his motives fully, it will be necessary to admit that his prescient mind would consider the time, apparently not very far distant, when what are now styled Great Powers will be dwindling fast by the side of such gigantic empires as seem intent upon dividing the earth's surface between them, like England with her colonial possessions, and Russia. The effect upon this country, its foreign policy, and the very character of its inhabitants, would be alike cramping, unless a way for expansion was opened for each. When the political schemes of a considerable man are subjects of speculation, it is wiser to guess at something exalted if you wish to come near the truth. So probably in this case. No doubt he, too, has foreseen the reaction which, at no very remote period of German history, will gain a mastery over people's minds, when failures and disappointments begin to crowd around each of the present equatorial enterprises. But he believes in his countrymen's capacity to overcome failure and disappointment without recourse to costly warlike expeditions, for which Germany is unfitted by her institution of universal and short military service.